Use this metric fitness tracker to see your daily BMI measurement changes. There is a graph to show correlation between your body fat and weight. 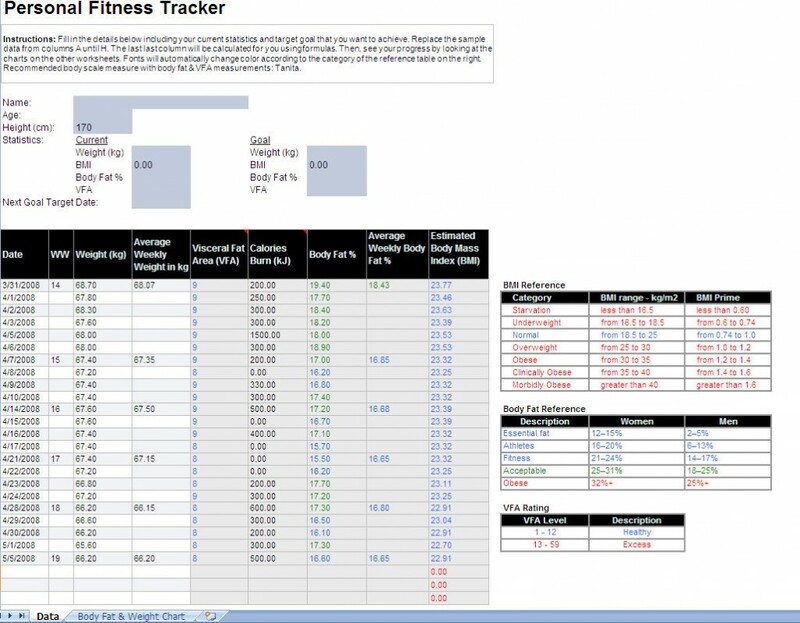 The two spreadsheets in this fitness tracker display your daily BMI measurement to help you keep track of your weight goals! 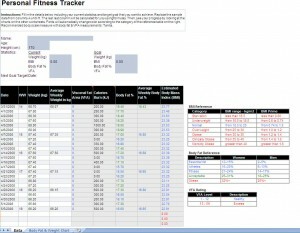 Download this Fitness Tracker Excel Template today!